Twisted stitches create the look of cable stitches without the use of a cable needle. Right twists are simple to execute and are often used to complement cable patterns. I used this stitch in my Laughing Matter socks and, of course, incorporated it into the Building Blocks series. 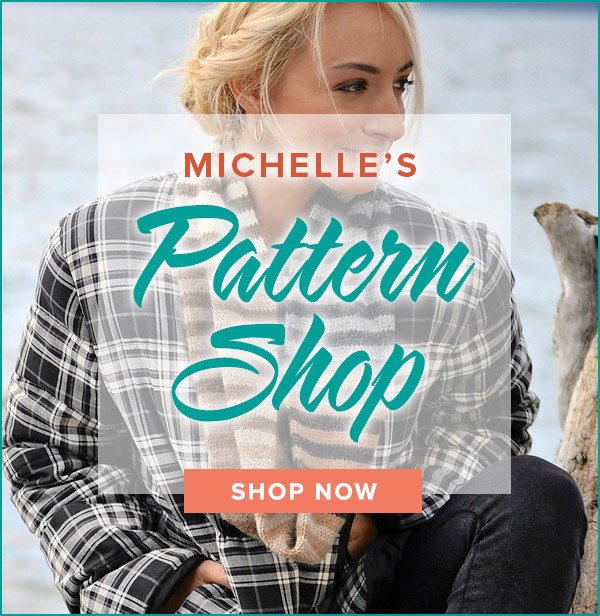 After watching the video tutorial, try this beauty of a stitch in your next project! P2, RT, RT, RT, p2, k11, p2, RT, RT, RT, p2, k11, p2, RT, RT, RT, p2. Hi! I need some help with building block # 6. In row 1 I can’t do K11 at the end. I have been trying and I always end just with 10 stitches left to knit. At the end of the line it says to repeat from the * ending last repeat after the underlined stitch. In other words, you end the last repeat after p2. I do not understand what the underlined p2 means on the right twist block. It is not explained any where in your book. Thanks for knitting with me! The Right Twist uses two stitches so the symbol on the chart must cover two squares on the chart. The Right Twist symbol in the chart legend shows that both of those squares equal one operation. Hope this helps! In your pattern reciprocation, you have the right twist charted with two different symbols. Is there a reason why you did that? I’m just confused if its the same stitch why there would be two different symbols. Love the twist, one of the easier cuffs I’ve ever made. Thanks for sharing with us. The right twist is one of my favorite stitches! I included it in my popular Laughing Matter sock pattern and it works beautifully. Happy knitting! I would like to use the right twist as a ribbing on a sock. So, 2 questions…is it stretchy enough to use for this purpose; and do you need an even number of stitches to use it. I was thinking along the lines of right twist, knit one, right twist, knit one. Would this work? I love to knit socks, but want to try different ribbing concepts. Oh my goodness, do I wish I had asked you before I attempted it…I’m in trouble!! Well, thank you so much for that perfect solution. I’ll now know what to do the next time. I wish I could throw in a life line and pull out a few messy rows, but the right twists are too difficult for this semi-beginner to thread a lifeline through! Thanks so much for your quick and helpful response! Alas, I could have a whole website dedicated to fixing mistakes. Have no fear, the RT is rather easy to repair. Unknit back to the RT. Place first stitch on right needle onto a cable needle and hold in the back. Unknit the next stitch which moves it to the left needle. Now replace stitch from cable needle to the right needle and unknit it. Voila! I love doing this block, but as the person above suggested, I wish there was a tutorial in how to unknit the right twist. I have had to do it a few times and I’ve really screwed up the block. Can you describe how to do it? I’ve tried to logically reverse the steps of the right twist, but to no avail. I would really appreciate the help because I’m stuck! Love this book and all that I’m learning. I am working on learning the blocks. I am happy with my progress thus far. I am on block #5 and is stumbling on row 3. *P2, k1, RT twice …. am I to do the “RT” twice or the whole ” P2, k1, RT” twice? Thank you for your assistance! Thank you for your “Building Block” book. It is perfect for building my knitting skills! Thanks for knitting Building Blocks with me! I would try working a kfb at the spot where you worked the accidental decrease. If the pattern looks fine then just keep going. I recommend placing a lifeline in your block to save your stitches and make for easy repair. Check out my video to learn how. I am working on the building block that introduces the right twist. I am half way through. On the 3rd row, I must have accidentally DECREASED 1 stitch on this row. I noticed this by the 4th row. Right now, the mistake is BARELY reflected in the pattern. I am hoping to continue on to the next set, beginning with row 1. Is there a way to INCREASE 1 stitch so I do not have to start over (again!). Thanks for knitting Building Blocks with me! You will end the last repeat of the row after working the underlined p2. I am reading over Block 5 and I notice in the pattern that you have p2 underlined. Does that mean anything special or is it a reminder? The right twist uses two stitches and does not alter the stitch count. You will work two stitches on the next row. Happy knitting! After you do right twist do you knit the two stitches as one next row or two? Thanks so much for these wonderful videos. They have been a huge help! 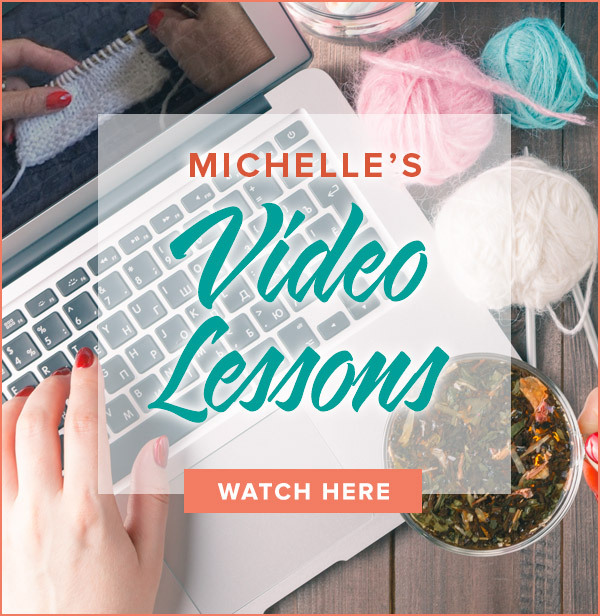 Just one suggestion…maybe at the end of the video you could show how to unknit the stitch. I would imagine something more than the usual “tink” would be required and it would be nice to know what to do if I run into trouble. Thanks! Not specifically, no. Can you seem to work it out following my Western style? This is such a great rib! I’m so glad you choose to use this for your KAL. I find the traditional ribbing to be a little on the boring side to knit and this adds alot of interest visually too. Nice choice.